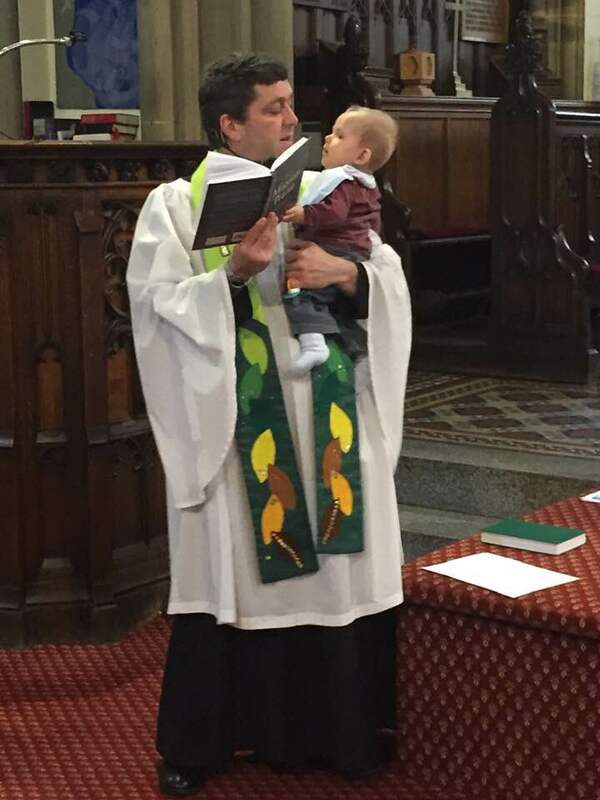 Our Vicar, Rev John Dracup is telling his story and answering questions at the Waggon and Horses in #Meltham this Tuesday 12th March 8.00/8.15pm. Please come – and bring along a friend! All welcome. PLEASE PRAY for baby Jack (Dracup). Jack was rushed to hospital this last week after suffering a seizure. Please pray that he would make a full recovery and heal through God’s Holy Spirit, being able to settle back at home. Pray for John and Fiona as they care for him, and Isaac and Rebekah to feel love and supported. READ THE GOOD NEWS – Luke 4:1-13 – As Satan tempted Jesus in the wilderness, we too experience this at one time or another. Prolonged times of feeling abandoned, more things seem to be going wrong rather than right, challenging times. It is during these ‘wilderness’ periods that we need to rely on God’s word, rebuking Satan with scripture, don’t lose hope, continue to trust in Him and His plans for your life. Saturday 16th – Women’s Fellowship Coffee Morning – Cakes and Tombola items required. Also volunteers to help out! Notice is hereby given that under the Church Representation Rules a new Church Electoral Roll is being prepared. All persons who wish to have their names entered on the new Roll, whether their names are entered on the present Roll or not, are requested to apply for enrolment not later Sunday 7th April 2019. The new Roll will come into operation on 14.04.19. 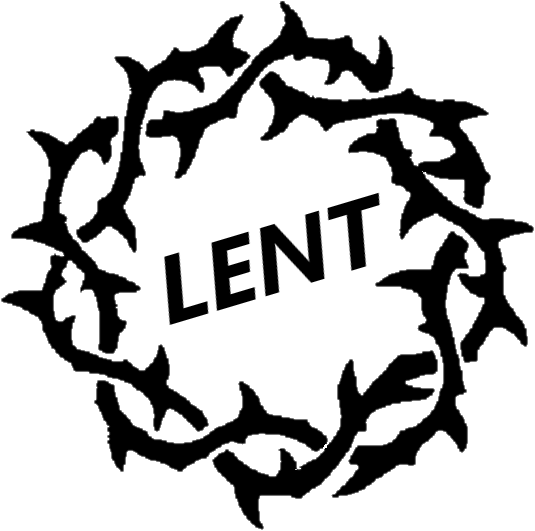 Lent this year will begin with two Ash Wednesday communion services on the 6th of March. The first being at our usual BCP service at 9:00am and the second being at 7:00pm, both being at St Bartholomew’s and open to the whole parish. Please come along and join us as we start our lenten journey together. Over the years Lent has been seen in different ways as our needs as a Church, and as a society, have changed but it remains a penitential season. Traditionally this has meant that we are to spend time examining ourselves to identify those things that we have allowed to come between ourselves and God so that we can repent. To really understand how best to make use of Lent we need to understand that there are three parts to the act of repentance. We often focus on the first two parts which are, identifying the wrong things in our life and saying sorry for those things. Of course, I wouldn’t want to underplay the importance of these two parts, the third part simply can’t happen without them. But it is important that our repenting is completed. After we have turned away from those wrong things in our lives and said sorry, we need the third part which is to put our back to them and turn to God. Putting this rather simply if you believe you eat too much chocolate and choose to give this up for lent then, every time you would have eaten chocolate you will feel hungry and will feel tempted to eat chocolate. Turning to something good like eating a piece of fruit will stop you feeling hungry and reduce the temptation to eat chocolate. Perhaps, this is why many people in recent years have begun to take up a good thing for Lent, rather than giving up a bad thing. As Christians this act of taking up something for Lent should be about finding a way to spend more time with God and drawing closer to him, something we hope will extend far beyond Easter Sunday! PLEASE PRAY for our young people, pray protection over them, pray for them to make wise choices, not succumbing to ways of the world but standing firm in God’s love and plan for their lives. READ THE GOOD NEWS – Luke 9:28-36 – Let us seek God so intentionally and fervently during our quiet times with Him, that our faces and appearance change too. Not necessarily physically, but spiritually glowing as we encounter Him and His Spirit. Lent 2019 – from Monday 11th March Meltham Churches Together will be running ecumenical home study groups on 4 different days each week, for 5 weeks in Lent. We will be following the New York Course ‘Daring to see God now’. If you would like to join a group, please sign the green ‘sign up’ sheets in each church, the Crossroads Shop or Crossroads Centre. All are welcome. For more information, please speak to Jean Burhouse. Please note – The Church Growth & Development Meeting has now moved the 4th Wednesday of each month, rather than the 1st. It will meet 27th March, 7.30pm at The Vicarage. 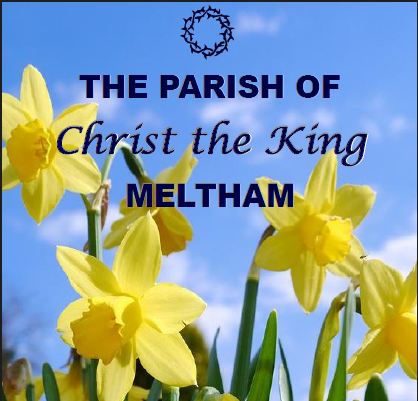 Read all the latest news from across the #Meltham Parish here. Please also try and use the local businesses who support us by advertising in the magazine. PLEASE PRAY for yourselves. Sometimes we focus so much on what is going on around us and for others who we care about that we neglect to pray for our own health – physical and spiritual. Pray for a renewing of strength, passion and closeness to God. Ask Him to identify our weaknesses and how we can better ourselves as we serve Him. READ THE GOOD NEWS – Genesis 2:4-9 – As Spring approaches, let us be reminded of and thankful to God for His creation. As the colours from the daffodils, trees and sky start to shine a little brighter, let us seek to see God in all things, especially in the beauty of His creation. Monday 25th February – “Journeys” – 7.00pm at St James Church, Meltham Mills. For more information please speak to Rev John Dracup. Tuesday 26th February – St Bartholomew’s Women’s Fellowship – Sandie Nicholson will be showing slides of local scenes. 2.00pm in church. Lent 2019 – from Monday 11th March – Meltham Churches Together will be running ecumenical home study groups on 4 different days each week, for 5 weeks in Lent. We will be following the New York Course ‘Daring to see God now’. If you would like to join a group, please sign the green ‘sign up’ sheets in each church, the Crossroads Shop or Crossroads Centre. All are welcome. For more information, please speak to Jean Burhouse. PLEASE PRAY for Libby Squire, her family, her friends, the police and all involved. Libby, is a student who has been missing since 31st January, in Hull. Please pray that a resolution is found and for her family during such a difficult and traumatic time. 7.00pm at St James Church, Meltham Mills. For more information please speak to Rev John Dracup. As in previous years Meltham Churches Together will be running ecumenical home study groups on 4 different days each week, for 5 weeks in Lent. in each church, the Crossroads Show or Crossroads Centre. This helps us to know how many resources booklets are required, however you are welcome to join a group at any time throughout Lent. For more information, please speak to Jean Burhouse. A little note from Arnold Lodge’s daughter, Jenny – visitors would be welcome to come and see Arnold at this time. 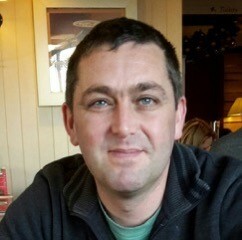 Please do pop in to say hello and cheer him up. It would really be appreciated to see some friendly faces from the village. Thank you! of life that we know and live with others. Jesus has blessed us with His joy, peace and love, let us be inspired to share that with other people, and not keep it to ourselves. 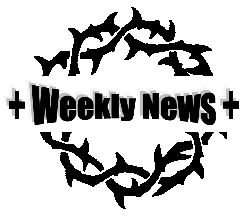 READ THE GOOD NEWS – Luke 5:1-7 – Do you every feel like you’re waiting is never ending, prayer is being unanswered or your efforts seem tiresome? Is God telling you to cast your nets to the other side and to trust Him? 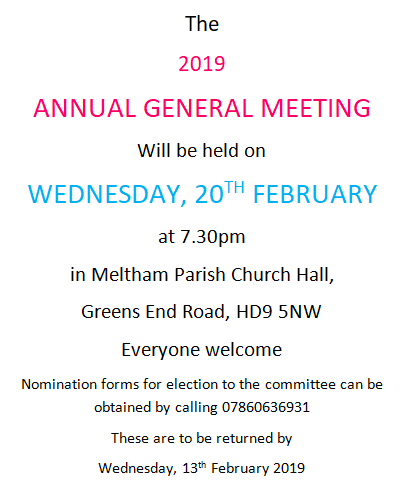 Wednesday 20th February – Church Hall AGM, 7.30pm. For the Church Hall Committee. Nomination forms can be obtained by ringing 07860636931 and must be returned by Wednesday 13th February.